• Should publishers assign a unique ISBN for each e-book format of each title they publish, and what are the implications either way? • There is no consensus of what is the best practice, but one thing is clear: you need to make the decision yourself and not leave it up to someone else. ST. CLOUD, MN: As more people venture into the e-book world, they inevitably come across a question they need to answer: Should I assign an ISBN to my e-book? But before we answer this first question, let’s look at why it’s important to designate a new ISBN for an e-book in the first place. Much of the debate about ISBNs and e-books stems from the use of the word “format.” The question being, when is an e-book in one format, say ePUB, no longer an ePUB? We know, for example, that a Kindle version is a new format, because it is no longer an ePUB file, but a unique version that will only work with Amazon’s software. “A lot of it depends on where you will be submitting the e-book and who you will be working with for distribution,” says Laura Dawson, Content Chief and head of the Content Services group at Firebrand and co-chair of BISG’s Identification and Rights Committees. Simply put, there are a variety of vendors and marketplaces selling e-books -– Apple, Amazon, Google (as soon as they come full force with it) Sony, B&N, Kobo and the list goes on. And some require ISBNs and some don’t care whether you have an ISBN attached or not. Take Apple’s iBookstore, as just one example. If you submit your work to them directly -– they accept ePUB files –- they requires a 13-digit ISBN. They’ll add DRM to the e-book for you as well. If you need to work in a different format, Apple suggests you go with one of their approved third part aggregators. These vary and they each may have their own stipulation for how to get the e-book to them. Smashwords works with the iBookstore to get your e-book there, but you have to start out with a Microsoft Word file and make sure it is formatted according to Smashwords’ specifications so they can convert into different formats. Since Smashwords only accepts Word files, which limits the creative control a creator might have over his or her work, it essentially tosses the idea of an ISBN for every format out the window. This doesn’t even go into all the other conversion houses and distributors out there that can get your e-book into all the aforementioned stores, and what they may require. Next, consider this: what happens when you add a DRM layer on top of the original file, no matter the format? Does that signify a new creation of that work? Again, let’s take an ePUB file for example. If you have the original ePUB file and you add DRM to it, is that another format and do you need a different ISBN for the DRM version and for the version without DRM? Think of it as a bike lock on your e-book, it doesn’t change the bike really, just restricts what you can do with it. So, if you say that DRM is just a stop gap, then no new ISBN is needed. 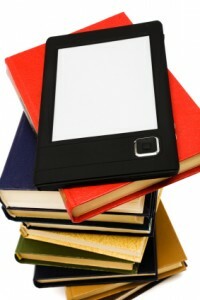 If you think it changes the e-book itself, then you may still want to consider one. There are a variety of reasons to add the ISBN on your own as well, either as the author or publisher; one very important reason being that if you don’t assign an ISBN, the distributor could assign one for you, which could result in multiple ISBNs for the very same type of file (as sold through a wide variety of distribution channels). The bloat is likely to make collating and tracking sales data –- and thus looking at overall performance for a title — all the more complicated. Though, as discussed here, there is no universal answer as to whether or not each format requires individual ISBNs, one thing is indeed clear: take control of the process. The worse thing you can do is lose control of your content or let another entity (whether conversion house, distributor or retailer) control the metadata and, accordingly, the invisible ties that bind you to your customers. Ceding too much control takes you out of the picture and makes this already complex situation all the more challenging. Erik Christopher is owner of KC Educational Services, working as an independent publisher rep in the Midwest, and owner of Ugly Dog Digital, an all in one consulting, e-book conversion and sales company working with authors, publishers and libraries. Previously he was the National Sales Manager for North America at Blackwell, an academic library vendor for print and e-books. He is also Senior Advisor with Digital Publishing Partners. You can find him on LinkedIn, Twitter, and online at http://ebooknoir.wordpress.com/ and http://ebooknoir.tumblr.com/. POLL: Do You Assign Individual ISBNs to Each E-book Format?